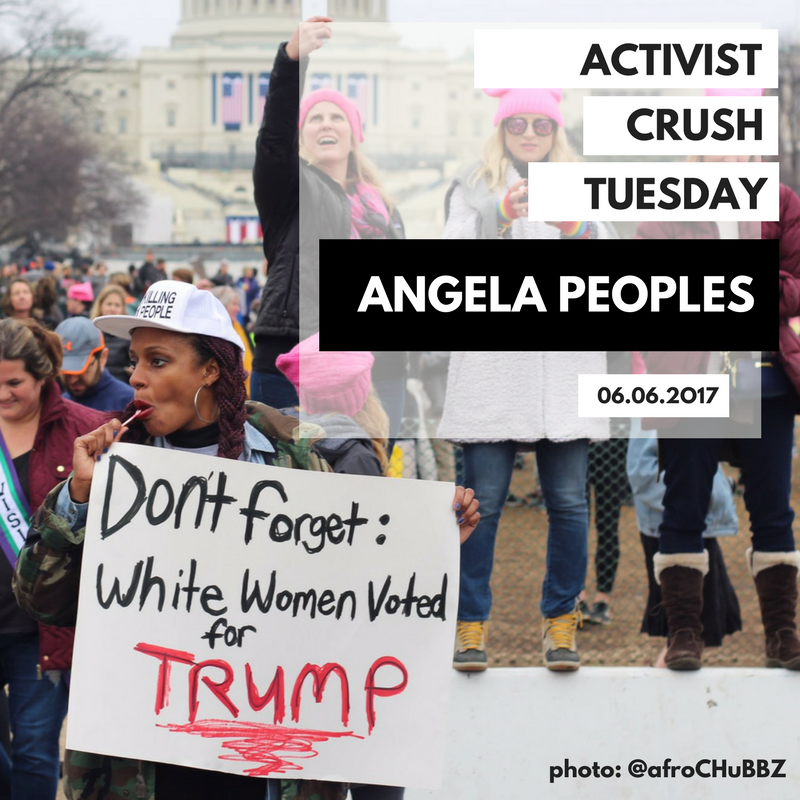 Each Tuesday we're taking a moment to recognize, celebrate, and boost the work of one amazing activist. Join us in drawing hope and inspiration from their commitment to their causes, and the difference they are making each and every day. As an undocumented trans woman of color, Jennicet Gutierrez fights head on the problems facing LBGTQ immigrants.She's not afraid to disrupt to bring attention to oppressed communities. In 2015, she interrupted President Obama during a Pride event at the White House in order to bring attention to the plight of trans women in immigration detention centers. After that went viral, she started the #EndTransDetention campaign, part of a larger campaign to free undocumented LBGTQ people from detention centers where they are statistically the most vulnerable to assault. Less than a week later, immigration officials announced that transgender immigrants would be detained according to their gender identity. When Trump was elected, she knew she could not continue the fight alone. She became a community organizer for Familia: TQLM, an organization committed to advocating for the rights of the LBGTQ and Latino communities. Last month she was honored by the Astraea Lesbian Foundation for Justice , an organization that raises funds to provide critical resources to grassroots organizers around the world. Jennicet reminds us how strong we can be together. "No one is free until all of us are free to show up as who we are — where we are. The job of a disruptor is to remember your voice is your power and to utilize it always and in all ways." Cristina is the executive director and co-founder of United We Dream, a youth led organization advocating for the immigrant community, specifically undocumented young people. Jimenez moved to the US at age 13 and went through high school and college as an undocumented student. In 2008, she saw immigration reform stalling in Congress and knew that to enact change she and others must take a risk to share their stories even though it may make them a target of federal authorities. Four years later, it paid off. Jimenez and United We Dream played a huge part in making sure legislation existed to protect undocumented young people who were brought to this country as children. As a result of her advocacy the Deferred Action for Childhood Arrivals (DACA )program was born. DACA has already protected over 1 million young people from deportation. In addition to UWD, Jimenez is a political analyst, an organizer and has started a Dreamers mentorship program through her alma mater, Queens College. Jimenez has landed on numerous top lists for her leadership and fearlessness - Forbes’s 2014 “30 under 30 in Law and Policy;” was named one of “40 under 40 Young Leaders Who are Solving Problems of Today and Tomorrow” by the Chronicle of Philanthropy; and one of “50 Fearless Women” by Cosmopolitan. We're not surprised by these accolades - we all have a lot to learn from her passion and her work. Peoples, defiant, holding a sign that reads "White Women Voted For Trump" wearing a hat that said, "Stop Killing Black People." started a lot of uncomfortable but necessary conversations about #feminism and #whiteprivilege. She's the director of Get Equal, an organization empowering the LGBTQ community and their allies. Peoples is passionate about fighting for access to affordable college and consumer protections for students taking out loans. "Trust Black Women. Liberation Can't Wait." Ezra Levin and Leah Greenberg, 2 of the co-founders, and the Co-Executive Directors of the Indivisible Guide....and a real life couple. Not only did these two conceive of writing this guide over Thanksgiving drinks with friends, they humbly thought it would be just for friends...little did they know that they were putting together a tool that would mobilize the masses to TAKE ACTION. Also, we love that this real life married couple is working on strengthening our democracy together. After all, the personal is political, and resistance should be a family affair. Brittany Packnett is one of Time Magazine's 12 New Faces of Black Leadership, and that is just the fifth most impressive thing about her. She's an activist - a protester in Ferguson, Missouri, an advocate for women and girls of color, and the creator of Build Love + Power (@BuildLovePower), a site that aims to get everyday people to create positive change in the world. She's a policy expert - a member of President Obama's 21st Century Policing Task Force and the Ferguson Commission, Packnett is now the co-founder of Campaign Zero (@join_campaign_0), a policy platform that targets state and local policymakers to enact change and fight police violence. She's an educator - a VP at Teach For America(@TeachForAmerica), Packnett is in charge of national community alliances, working with communities of color on an agenda of equality for the first time in the organization's history. Recently, Omar Jadwat has been a rockstar, battling 45's "Muslim Ban" executive order since February. In fact, he was one of the first lawyers on the scene back when the executive order first came down, going to the federal courthouse in Brooklyn to get the emergency stay, that eventually led to the EO being blocked. Jadwat has dedicated his career to helping immigrants, the poor, homeless, elderly, and those who have been deprived of their civil and human rights.